Her Very Happy Life in the Town She Calls Home, New York City! Penny Black Publishing, 9780692019290, 48pp. Elizabeth Frogel, Charlie Girl's mom, resided in her hometown of New York City for many years, with her daughter, Ava, and their favorite poodle and best friend, Charlie Girl. Of late, they have moved to sunny Los Angles where adventures will continue! This series, inspired by their real-life love affair with the mischief-making Charlie, their love for New York, and all of the inspiring moments that happen each and every day, is a tribute to dog lovers and their "best friends" everywhere. Elizabeth, a former interior and the founder of CenturyMom, a successful New York City-based fashion consignment business, has channeled her creativity and fashion sense into creating a delightful series of children's books that, because of their unique, high quality design elements, are truly collectibles. Don Kossar is a full time interior designer and professor at the New York School of Interior Design. He resides in his home town, New York City. 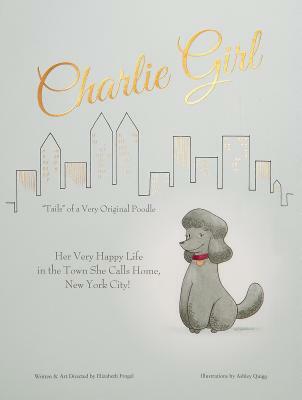 His artful and accessibly style lends a delightful authenticity to the life and adventures of Charlie Girl. Mr. Kossar and author, Elizabeth Frogel, enjoy the collaborative process of bringing the adventures to life for all to enjoy!